In this episode: Carey and Steve get into setting up a Resolve system and what machines will run it. We talk about GPU acceleration, CUDA vs. OpenCL, Red Rocket, laptops, iMacs, and Resolve Lite-the FREE version. Recently, Convergent Design made some pretty exciting announcements concerning its popular Gemini 4:4:4 recorder. Firstly, they confirmed that Avid DNxHD support would be available as a free firmware upgrade in the third quarter of this year. The supported variants of DNxHD include 1080p24/25/30, 1080i60/50, and 720p60/50 at bit-rates of 220, 145, or 36Mbps. Compared to the uncompressed option, DNxHD 220x will allow for greater record times and smaller file sizes; for example, using two 1.8″ 512GB SSDs, you can record uninterrupted for approximately 12 hours. PCmag.com reports that Dolby Laboratories has begun moving into the imaging space with a technology called JPEG-HDR, which it has reportedly licensed to Qualcomm. The format allows high-dynamic range images to be encoded into a single format, according to the company, without large file sizes or compatibility issues. If you've been wondering what Adobe had in the works after laying Flash Player for mobile to rest, the wait is over. The outfit has unveiled the codenamed Project Primetime, the "industry's first fully integrated video technology platform" that will offer television-esque viewing sessions across your web-enabled devices. This tech plays nice with all "major" mobile platforms -- including iOS -- as well as desktop operating systems and smart TVs. Touting a workflow that pulls together streaming, content protection, analytics and advertising, the software will allow media providers to offer live and on-demand viewing on a number of internet-friendly devices. The first portion of Adobe's project, "Primetime Highlights," is available today for the iPad and showcases a video editor (pictured above) alongside the Auditude ad platform. Don't fret, though, support for other platforms is coming later in the year. While Primetime is on display for the first time at MWC, parts of the new tech will see daylight throughout 2012. If you're looking for some more details, hit the full press release below. "Incredible" updates from RED are coming? REDgamma3 and REDcolor3 out soon! Some may joke that all RED's products are always in beta state but one thing is sure - the company knows how to make its products better thanks to new software versions and we can expect some improvements thanks to the upcoming REDgamma3 and REDcolor3 updates. They will be compatible with RED's cameras and REDCINE-X. I haven't spent a whole lot of time revisting old entries on this site. The most widely read post here was one written January 8, 2008 about HD Monitor Calibration using ARIB Bars. It's one of the only articles on the net that specifically addresses working with ARIB which is the reason for the traffic. Because of its continued use, I feel an overhaul probing a little deeper into the topic is beneficial to anyone referencing it. The article that used to reside here will be replaced by this current entry. MovieChapterizer opens up a world of cool chapter usage in QuickTime Player. Use MovieChapterizer to create chapter names for favorite sections of your movies. MovieChapterizer 4 provides an easy way to add chapter names into movies you can view with QuickTime Player. Use MovieChapterizer to add chapter names to numerous points in your movies by simply moving the playhead slider and entering chapter names wherever you want. Then open the movie in QuickTime Player and the chapter pop-up button allows you to navigate directly to the chapter markers. One of my favorite tools for penetration testing is Nessus from Tenable Network Security. Nessus 5 is the latest release in the family of vulnerability scanners that is probably amongst the most prolific. Nessus 5 does discovery, configuration auditing, profiling, looks at patch management and performs vulnerability analysis on a variety of platforms. Nessus can also run on a Linux, Windows or Mac OS X and can be used to scan and keep track of vulnerabilities for practically any platform, including Mac OS X. Here is a decent 15 minute tutorial that will help you get started with using DaVinci Resolve Lite. Dan walks through how to get set up, bring in media and work with R3D footage. Freelance colorist Andreas Brueckl has some great tutorials for colour grading using Assimilate Scratch. This whirlwind tutorial reveals the process he used for a TV commercial which involved a lot of complex alpha matte based grades. This tutorial gives you some idea of the power and simplicity that Scratch can provide. Here is a video tutorial showing how to get your sequence out of Avid Media Composer 5.5 to Premiere CS5.5 using your original media, not QT Reference files that link back to your DNxHD files. Ok, I’m not sure if he uses cocktail napkins but his Tactile Interface Movie Editing (T.I.M.E.) system definitely deserves a toast. The video of him tapping and swiping his way through FCP X has been viewed by over 5000 people and counting on Vimeo. STREAMS Counter Enables Post-Production Professionals to Test Storage I/O Performance (Nashville, Tennessee--February 21, 2012) Small Tree has unveiled STREAMS Counter, a storage system performance application utility, at the National Religious Broadcasters Convention. With the Sony F65 and the SR-R1 recorder come a new set of workflow processes. At AbelCine, we are always trying to stay ahead of the curve, even as technologies such as these are evolving. Sony’s F65 and the SR-R1 both record to SRMemory cards, which is high-speed memory that enables recording of F65RAW video at up to 120 fps. To work with these cards, Sony has released the SR-PC4 and SRPC-5 transfers stations, which present a unique way of playing back and downloading content. Pomfort's LiveGrade application uses Blackmagic HDLink capabilities for live manipulation of HD-SDI images and offers a complete solution for the creation, manipulation and management of looks. The Avid DNxHD recording function for ALEXA will be distributed as a cost-effective, downloadable software upgrade during January 2012 and is now entering Beta phase testing with selected broadcast productions. Avid DNxHD codec data rates of up to 145Mbit/s (bit depth 8 bit) and 220MBit/s (bit depth 10 bit) will be supported in the initial release. Avid’s highest quality version of the codec, Avid DNxHD 444, will record at 440Mbit/s at 10 bit depth and will be provided as an upgrade for all adopting customers later on during the first quarter of 2012. When turning over VFX sequences it's useful to put titles over all VFX shots that display their shot IDs. This tool helps you use an EDL with shot locators as the source for Avid's SubCap effect. Manually entering titles such as lower thirds is not very much fun. Marquee, a suite of title tools included with Avid Media Composer and Avid DS, has a unique "AutoTitler" tool. In postproduction, ARRIRAW files must be transformed into a standard file format for conforming and color correction. The most commonly used format is SMPTE DPX (Digital Picture eXchange). With ARRIRAW Converter (ARC), ARRI provides a free software tool to view and convert ARRIRAW data into DPX files for postproduction. February 17, 2011 – Culver City, Calif – 3net, the 24/7 3D network and 3D television production studio, along with joint venture partners Discovery, Sony and IMAX, today announced the release of the most complete guide to 3D television production ever assembled. Featuring stereoscopic expertise from the top producers and technical advisors of the company and its corporate ownership, The 3D Production Guidehas now been made freely available to the public today via multiple websites, it was announced today on behalf of 3net and its corporate partners by Tom Cosgrove, President & CEO of 3net. HyperDeck 2.5 Software Update public beta is available to download free of charge now! 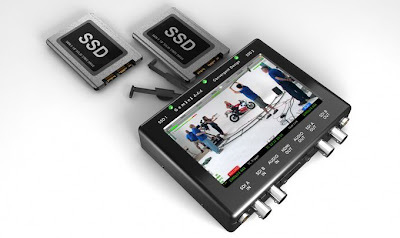 (Fremont, California--February 17, 2012) Blackmagic Design today announced the release of HyperDeck 2.5 public beta, a new software update that adds embedded timecode support, DNxHD recording to QuickTime and SDI camera record triggering to its HyperDeck SSD recorders. Television is going the way of the dinosaur, and the deadly comet is called BitTorrent Live. Today, Bram Cohen, the author of the BitTorrent peer-to-peer sharing protocol, demoed his latest creation at the SF MusicTech Summit. (Grass Valley, California--February 14, 2012) AJA Video Systems delivered v3.0 firmware for its Ki Pro and Ki Pro Mini 10-bit 4:2:2 flash disk recorders today. Packed with features that give users greater flexibility and capability for filmmaking, broadcasting and everything in between, v3.0 firmware is available as a no-cost download for current Ki Pro and Ki Pro Mini customers. KineRAW Digital Cinema – China’s answer to the Alexa? Wentao Marvin takes a first look at KineRAW, a Chinese entry into the world of digital cinema. Production looks to be rolling out in February with an Super 35 version priced around $8000 (body only). DFT Digital Film Technology, provider of high-end film and digital post production solutions that preserve, manage, and deliver your pictures, has announced the eagerly awaited FLEXXITY for the Mac. In addition to supporting a Linux workflow, FLEXXITY (V1.5) for Mac provides the post software tools for dailies, playout, and archive applications for facilities with an existing Apple infrastructure. Facilis Technology’s version 5.5 of its TerraBlock Shared Storage System, a new software release, has the Facilis Shared File System for Linux including integrated server spanning and mirroring and Adobe Premiere Pro project sharing. If you’ve ever noticed that a video played back on television looks different when played back on a computer, wondered why your photos don’t look the way you remembered them, or mused how colors on video look different than they do on film, you’ve experienced issues related to color management. Photoshop users and print professionals take color management for granted as a necessity in their line of work; conversely, very few video professionals are even aware of the issue – and virtually no video content creation programs take it into account. After Effects is a shining exception. I installed a 16GB upgrade into the iMac yesterday. It was probably one of the easiest memory upgrades I've done, but still wasn't quite as simple as it seemed in the diagrams on Apple Tech Note. Major upgrade to the DAVIO color management and 3D stereo processor (Indianapolis, IN--February 13, 2012) Cine-tal Systems, a developer of collaboration, monitoring and image processing solutions, announces the release of DAVIO 2.0. The latest evolution of the product will debut this week in the THX and SpectraCal Exhibits at the Hollywood Post Alliance Tech Retreat. The award winning DAVIO Video Processor provides solutions for workflow color management, monitor or projector calibration, 3D stereoscopic processing and the generation of graticules and markers. ASSIMILATE, Inc today announced that SCRATCH® and SCRATCH Lab® version 6.1 have achieved never-before-seen performance levels in the playback of RED EPIC Stereo content. SCRATCH Lab now provides DITs, DPs and Directors with dailies playback and review of RAW Stereo EPIC streams, direct from the camera at a full 48 FPS. SCRATCH 6.1 finishing systems can achieve the same 48 FPS playback rate of EPIC Stereo content even after sophisticated color grades and VFX have been applied. EBU Members and other media professionals are invited to share their experiences with open source tools at this year's Libre Software Meeting in Geneva in July. דראקו, הנציגה הבלעדית של AVID בישראל משנת 1993, תשווק מעתה את Blackmagic Design במסגרת המוצרים המשווקים על ידה. Fotokem Budapest Uses Baselight for Near-Set Grading of "In the Land of Blood and Honey"
Fotokem Budapest processed dailies for the film, which was largely shot in Hungary. It also hosted screening sessions for Jolie and the film's crew. Those screenings were held in the facility's DI grading theatre, with a Baselight EIGHT used to make real-time grading adjustments. Working under the guidance of Academy Award-winning cinematographer Dean Semler, Senior DI Colorist Benedek Kaban refined the look of the dailies and applied special colour treatments. When Arri released the SUP 4.0 firmware for the ALEXA, they also added the ability to create color ‘Looks’ to load into the camera. These Look files are similar to scene files found in other cameras, but they aren’t burned into the Log C recording of the camera. Instead, they can be used in post by converting them to LUTs using Arri’s LUT Generator. I've been demo-ing Scratch Lab by Assimilate - very smart, very slick software for the creation of on-set deliverables. It's interesting because there are a lot of tools available now for transcoding raw or uncorrected camera media into great looking, synced up files ready to go for the editor or whomever else needs them. Among these workflow options we run the price gamut from free to moderately expensive to extremely expensive and all of them basically do the same thing but with varying degrees of efficiency and economy. This document is designed to help you determine the best way of working with a SAN, such as Xsan, to speed up creative work and eliminate copying files across networks or hand-carrying hard drives on multiuser projects. Earlier this week we had an in depth reassesment of FCP X by 7 different editors and it was fascinating reading. Today my good Canadian friend, Tej Bebra, has written an article for me about Avid Media Composer 6. Avid, like many, was my first professional NLE, although I learnt to edit tape to tape. I was a very proficient and fast Avid editor. I loved it. But it was expensive to buy and needed dedicated hardware (It has also been software based for some time now though). That is why I went down the Final Cut route, from 1 through to 7. Then I came unstuck when I found 7 was not using my mac fully, both is processor or memory and then it was dumped for X which I had issues with. This video tutorial teaches how to do primary, secondary and some pretty advanced color correction in Adobe Premiere Pro CS5.5. You’ll learn how to create masks for color correctioninside of Premiere Pro, and to tweak parts of the image without affecting others. You’ll learn how to use Jarle’s Grading Tools (a collection of useful presets) to speed up your own color grading workflow. When you work with RED Digital Cinema's cameras, part of the postproduction workflow is a "processing" step, not unlike the lab and transfer phase of film post. RED ONE, EPIC and SCARLETcameras record raw images using Bayer-pattern light filtering to the sensor. The resulting sensor data is compressed with the proprietary REDCODE codec and stored to CF cards or hard drives. In post, these files have to be decompressed and converted into RGB picture information, much the same as if you had shot camera raw still photographs with a Nikon or Canon DSLR. Unleash the power of Davinci Resolve on your iPad! This is Esperimentocinema Davinci Resolve Layout for iPad. It allows to use the mac keyboard shortcuts of Resolve on your iPad, advanced playback functions and it can launch various tabs of Davinci Resolve, Render tab included. To control the color parameters, curves, etc. we suggest to use a pen tablet. A resolution of computer monitor of 1920x1200 is recommended to use all the functions of the layout. The graphics processing unit (GPU) speeds the Liquify tool, which lets people smear images in a finger-painting way, according to a Zorana Gee, a Photoshop product manager. She demonstrated the change in a YouTube video, the second in what looks to be a series of previews of the software. An earlier Photoshop CS6 preview showed new raw image editing tools adopted from the Lightroom 4 beta, a darker user interface, and improvements to brush size selection. Expect Adobe to add more previews but to withhold some goodies for the official launch sometime later in the first half of 2012. I had the pleasure to be part of a panel at the Sundance Film Festival last week. Adobe invited filmmakers Sharlto Copley, Rob Legato, Jacob Rosenberg and myself to share some of our thoughts on where all of this new technology is taking us as filmmakers. If you’re an Avid Media Composer user running off software only mode this update is very important. Media Composer 6 was causing Audio Underrun errors to pop up regardless of the audio content of the sequence if you weren’t using hardware. Up until today the fix has been to run the console and use a debug mode that would bypass the error. Trouble was that fix would cause the audio to drift out of sync when editing large complex sequences. Head over to the Avid download center to update. After 120 years of entertaining audiences, countless movies and pioneering works on the format, celluloid 35mm film looks to be on the way out as the industry picks up the pace to adopt digital for major motion picture capturing, post and distribution. With every new camera, comes many new questions about workflow. The term ‘workflow’ can be fairly broad, but today I am looking at importing C300 footage into various non-linear editing systems (NLE). The C300 uses the same workflow as the Canon XF series of cameras (which includes the XF305, XF300, XF105 and XF100), because it records in the same format. However, the tools for importing the footage have been updated by Canon. Below, I outline how to ingest footage onto a hard drive, and how to import into Avid Media Composer, Final Cut Pro 7, Premiere 5.5 and Final Cut Pro X. Keep reading for a brief how-to on each process. I capture video in HDV format, which uses compressed audio. When importing these clips into Adobe Premiere Pro CS5, the video gets "indexes" and the audio gets "conformed". Conforming audio essentially involves decompressing it and stretching it out to 32-bit samples that are more efficient for non-linear editing. These 32-bit samples are stored in Adobe's proprietary CFA files that are either stored with your source clips or in a subdirectory of your home directory. When Arri released the SUP 4.0 firmware for the ALEXA, they also added the ability to create color ‘Looks’ to load into the camera. These Look files are similar to scene files found in other cameras, but they aren’t burned into the Log C recording of the camera. Instead, they can be used in post by converting them to LUTs using Arri’s LUT Generator. These looks then travel as metadata with the clips recorded (through the XML file). Look files can be created by saving a still from the camera and loading it into the Arri Look Creator, which can then modify the still and output a look. A company called Pomfort, based out of Munich, was actually the first to work with Arri Looks. Their software, Silverstack SET, manages data on set and allows the manipulating of Arri Looks before sending them into a NLE or Color Grading suite. Silverstack SET is a fantastic tool for working with ALEXA material in general, and now Pomfort has come up with a new piece of software to take the process of Look creation a step further. On most of the films that I’ve worked on, I’ve needed to keep at least two Avid systems up to date. This could be because an editor wants to be able to cut from home, or the Director wants the ability to cut on set. To handle this I wrote a Terminal (bash) script that searches for any new MXF or OMF media on specified volumes since the last time the script was run. On first-run, the script does nothing but set the date to compare against the next time the script is run, though if you need to change that instructions are below. The Light Illusion LightSpace CMS now has a probe interface for the Jeti Specbos 1201/1211 Reference Spectroradiometers, which can accurately calibrate all types of production monitors and projection screens. Complicated is the word that comes to mind. This is the single most challenging IT related project I have undertaken to date. Building a open-source, low-cost, high-performance SAN from scratch is not for the timid, and certainly not for anyone without a working knowledge of the hardware involved or a fear of the command line. Linux knowledge is a prerequisite as many of the guides and helpful step by step how-to’s I will refer to were not totally self sufficient. 3D Focus readers will be aware that three 15 metre Super Hi-Vision outdoor screens will be installed across the UK to display live Olympic coverage at 16 X the resolution of current HD standards but Panasonic will also be recording the event using a specially designed tower. Neat Video is a video filter designed to reduce visible noise and grain in video footage produced by digital video cameras,camcorders, TV-tuners, digitizers of film or analog video. Learn how to edit your Canon EOS 5D Mark II video on your iPad! Learn how to edit your Canon EOS 5D Mark II video on your iPad! : Jim Edds from ExtremeStorms posted a great tutorial on editing your Canon EOS 5D Mark II video on your iPad! In his tutorial, Jim shows in detail how to import footage directly from the Canon canon camera into Apple's tablet, edit the footage, and export it uncompressed to an FTP or sites like YouTube, Vimeo, Facebook, etc. It is possible thanks to the iOS 5 and IMovie update that came out last year. Avid has released a video-editing app for the Apple iPad. Studio for iPad is based on the company's consumer-level video editing software Studio, which itself is based on its professional video editing and finishing tools for broadcast and feature films, Media Composter, Symphony and Avid DS. I want to use Find Bin for a clip in my sequence. Is there a way to do that? With the position indicator on the clip you want to Find Bin, hold down Alt/Opt and then press Find Bin to find that clip’s original location. Apple has finally updated FCPX with a feature it should have had when launched: multicam editing. And to Apple's credit it now supports 64 streams. They also thought it was time to let FCPX import layered Photoshop files and allow Broadcast monitoring. How long did that take? And why? 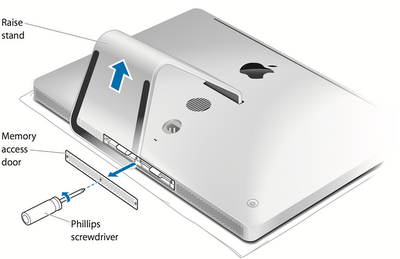 With last year's introduction of the Thunderbolt interface, the mobile editing workstation really came into its own. 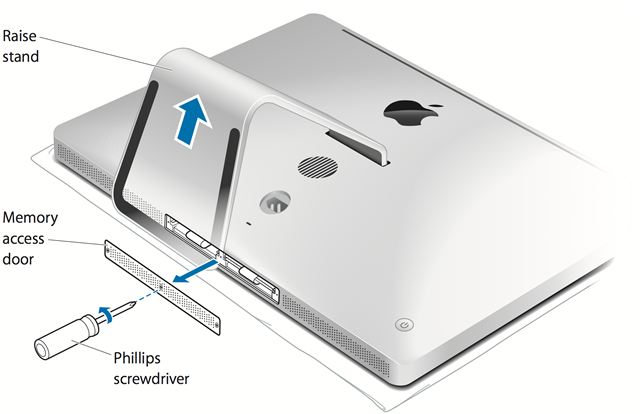 Some observers speculated that the super-high-speed jack, which makes incredibly powerful peripherals truly portable, was a signal of the impending demise of the decidedly non-portable Mac Pro tower. Marquis Broadcast today announced the launch of X2Pro Audio Convert, its cutting edge conversion application for delivering Final Cut Pro X projects to Avid Pro Tools for audio finishing.